The funds you raise will be invested in ground breaking medical research to help find a cure or treatment for Ataxia Telangiectasia (A-T). Here are a few ways you could help us achieve our mission plus a link to our fundraising resources page. You could do a sponsored walk, marathon, fun run or triathlon, climb Kilimanjaro, swim the channel or do a skydive. If there’s a challenge you’ve always dreamt of taking on, why not do it for Action for A-T? Click here to see our organised events, or do your own thing. You could organise a cake sale, a coffee morning, a raffle, a car boot sale, a music gig, a tennis or golf tournament, comedy night or even a family fun day. We love to hear what you’re up to so please do let us know what you’re planning and we’ll support you in any way we can. Be sure to send us a photo of the event and we’ll post it on our social media pages. We run a variety of events, including golf days and social events, and fundraising campaigns throughout the year, such as Razor Free for A-T and Take Tea for A-T. Join in and not only raise funds for vital medical research, but also help to raise awareness of Ataxia Telangiectasia. If you’d like to set up your own fundraising committee in your area to support Action for A-T, we’d love to hear from you! We can work with you to provide fundraising materials and help organise the type of activities to suit your local group. 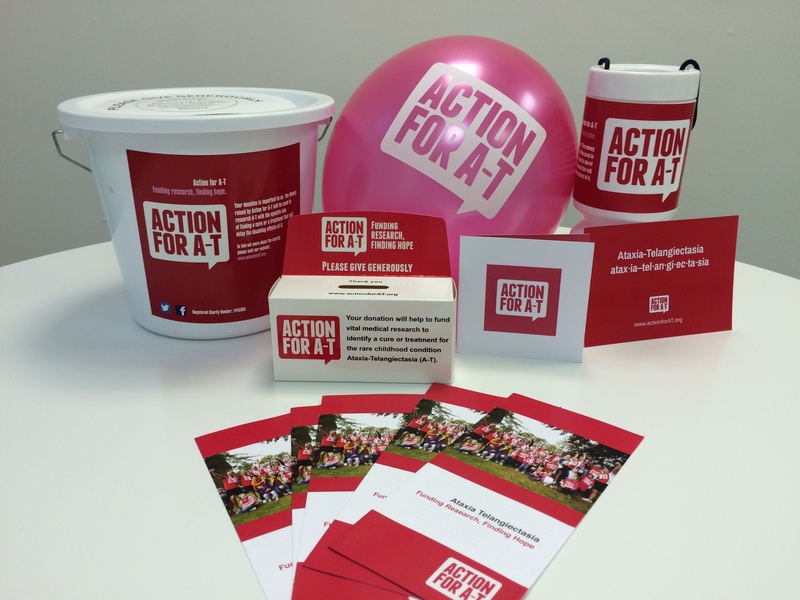 Click on the link below to download useful materials to help you fundraise for Action for A-T. Materials include our fundraising and training guides, as well as useful leaflets, posters and templates that you can personalise and use to promote your activities. Thank you for your support!